Serving clients on the Delmarva Peninsula for over 25 years in Worcester, Wicomico, Somerset, Dorchester, and Talbot Counties. 1993 Admitted to practice in the State of Maryland. 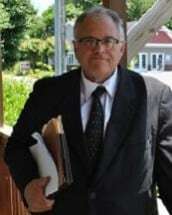 I Consistantly appear before judges in the District and Circuit Courts of Maryland, District Court in Ocean City and District and Circuit Courts Snow Hill, District and Circuit Courts in Wicomico County. Frank Benvenuto, P.A., Attorney at Law, has served the Delmarva Peninsula for more than 15 years. Criminal defense, family law and personal injury law: Worcester, Wicomico, Somerset, Dorchester and Talbot county, Maryland. 443-856-4906. Frank Benvenuto, P.A., Attorney at Law, practices in the areas of DUI/DWI, criminal matters, divorce, custody and personal injury. Worcester, Wicomico, Somerset, Dorchester and Talbot county, Maryland. 443-856-4906.